canals | A balanced diet . . .
I’m fascinated by canals. You have to admire the visionaries who financed and built the canals, and the armies of men who constructed them. Most canals in England and Wales were dug by gangs of navvies in the 18th and early 19th centuries. However, within just a generation or two the canals were already in decline as an expanding railway network made transportation of goods cheaper and faster. The writing was on the wall for the canals once George Stephenson had demonstrated the power of steam locomotion. The economic justification for and value of the canals waned, and they fell into disuse, and no longer navigable. However, in recent decades there has been a resurgence in the use of inland waterways. 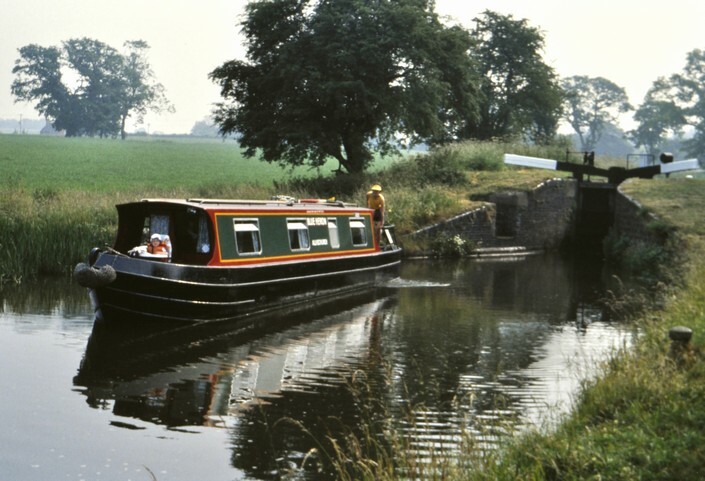 Today some 2000 miles of navigable waterways (canals and rivers) are managed by the Canal & River Trust, used mainly for pleasure traffic. 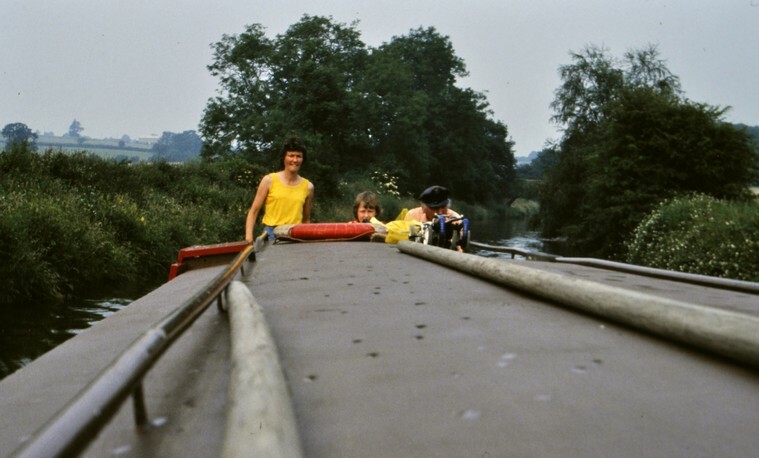 Narrowboat holidays on the canals are very popular. I have written several stories about the pleasure Steph and I take from walking along the towpath of the Worcester & Birmingham Canal, that runs north-south between Gas Street Basin in the center of Birmingham and the River Severn at Worcester. The canal is less than two miles east of our home in Bromsgrove in north Worcestershire. Our walks normally cover small sections of the towpath between Tardebigge Top Lock (No. 58) and Astwood Bottom Lock (No. 17), a distance of about 5½ miles. We not only enjoy the surrounding countryside, tranquil for the most part (unless a mainline express is speeding by about half a mile to the west), but also watching the canal narrowboats navigating their way up and down the Tardebigge Flight, the longest flight (of 30 locks) in the country, some with a greater degree of proficiency than others. Some days it can be like Piccadilly Circus¹ with boats queuing up to pass through the locks. 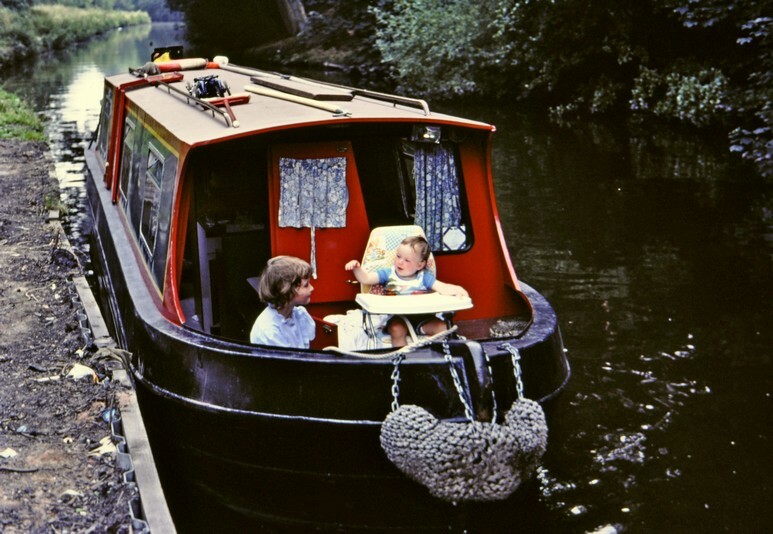 We have taken only one canal holiday, in the summer of 1983, when Steph, Hannah (just five years old), Philippa (15 months) and me took to the water for a week, to navigate the Stourport Ring. 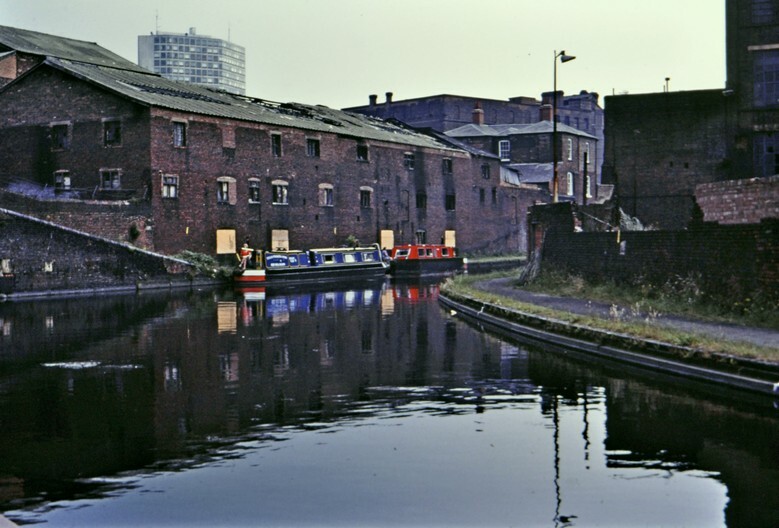 the Birmingham Main Line Canal (red, part of the Birmingham Canals Navigation, BCN), from Aldersley Junction to Gas Street Basin. If I remember correctly, the various links connecting the Staffordshire & Worcestershire Canal with the BCN via the Stourbridge Canal and the Dudley Canals were not navigable in 1983. It was early July, and we took Hannah out of school for the week with readily-granted permission from Mr Richards, the headmaster at Finstall First School. That would be almost impossible nowadays. We had chosen a small, 4-berth narrowboat for our holiday, Blue Heron, from a hire-boat center operating out of Alvechurch, about 15 minutes from home. 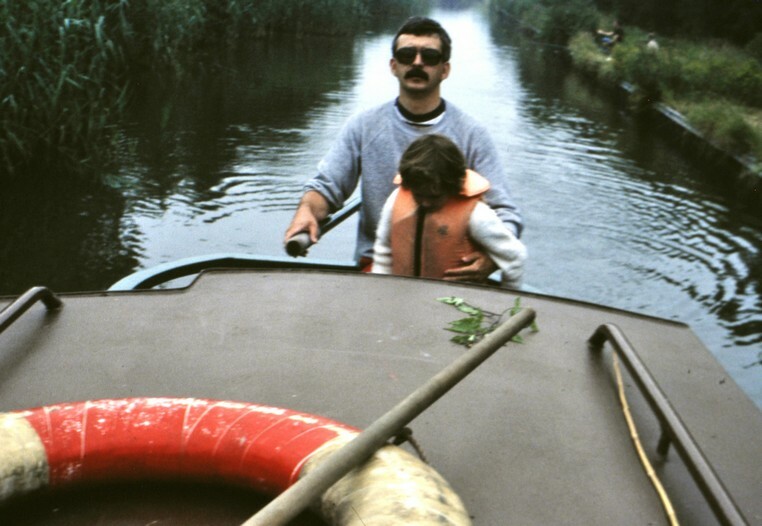 So, packing clothes for a week, and several boxes of groceries (including the inevitable wine boxes that were very popular in the 80s), we headed to Alvechurch to board our boat. Blue Heron, with Steph at the helm, and Philippa in the bow. After a familiarization tour of the boat, one of the marina staff joined us for the first three miles to the first lock on our trip, Tardebigge Top Lock. Not only would that be the first lock we’d encounter over the next week, but it was one of the deepest. So, the marina staff not only wanted to guide us safely through this lock but also to show us the rudiments of safe canal navigation. Looking at the various photos I have included in this post, you might be forgiven for questioning our apparent lack of awareness of on-board safety. Only Hannah is wearing a life jacket, something that would not be allowed more than three decades later. At five years old, we had to set Hannah some strict limits how to move around the boat. At 15 months, Philippa was already walking, and would crawl and stagger around the cabin whenever we moored for a meal break or at night. With either Steph or me steering the boat, one of us had to operate the locks, raising/ lowering the paddles to empty or fill each lock, and open the lock gates. So it was important we knew where the girls were at all times. To keep Philippa safe, we put her in a high chair in the bow of the boat, and with her mob cap for protection, and a good coating of sun cream, she was (mostly) quite happy watching the world go by at a leisurely 4 mph (the maximum speed permitted on the canals), waving to passers-by, or falling asleep when the fancy took her. 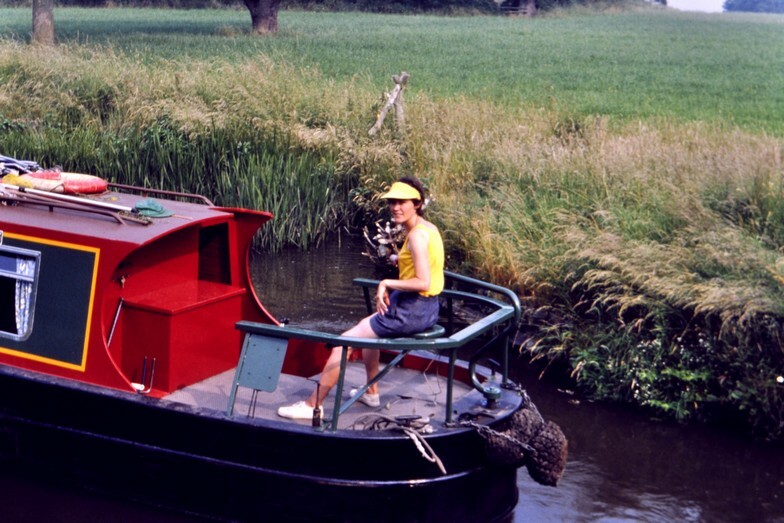 Hannah would often sit beside whoever was steering at the stern of the boat, or ‘help’ with the locks. Having successfully passed through Tardebigge Top Lock, we headed down a few more on our own, before mooring for the night just below the Engine House, then a nightclub/restaurant (but now converted into luxury apartments), near Lock 55 or 54, in the early evening. With two small children on board, we had to get them fed and not too late bedded down for the night. The view from Tardebigge Top Lock (No. 58). Looking south on the Worcester & Birmingham Canal near Lock 54. The Malvern Hills can be seen in the far distance. We spent all the next day completing the Tardebigge flight, but I’m not sure if we reached Worcester that same day, or took another day. Probably the latter. However, we spent one night at Worcester’s Diglis Basin before facing the River Severn. It had become clear on the final stretch into Worcester that Hannah was not her usual perky self. And by bedtime, she had a temperature. The next morning she really looked very unwell, so she and I headed off into the center of Worcester in search of medical help. Although only 15 miles or so from home, it felt like 100 miles. I didn’t have our doctor’s telephone number with me. In any case, there were no mobile phones in 1983. Nevertheless, we finally got to see a doctor (after completing a slew of NHS forms because we were being treated as ‘visitors’, not our own doctor), who diagnosed tonsillitis, and prescribed a course of antibiotics. It was remarkable how quickly those had an effect, because by late afternoon Hannah was feeling very much better, and almost back to her normal self by bedtime. Our departure from Worcester was delayed until after lunch. We steeled ourselves for the section of our trip on the River Severn. We had good weather (and for the whole week), and no particular difficulties on the river itself. But we did have to pass through the Diglis Lock connecting Diglis Basin with the River Severn. This lock is wide and deep, and a challenge for two canal novices like Steph and myself. I don’t remember that this lock was assisted. 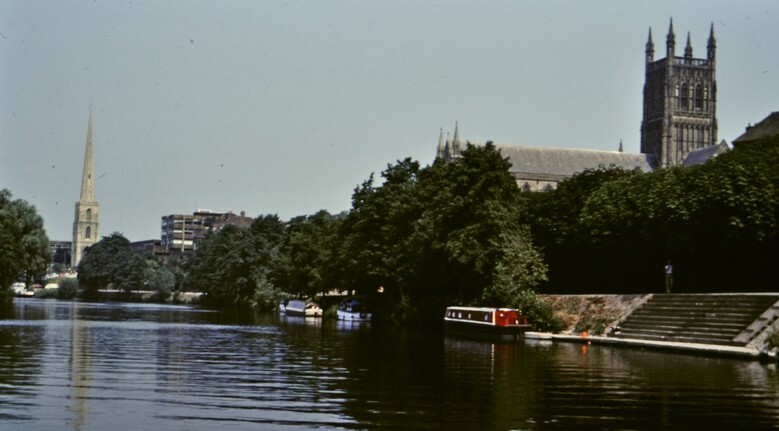 Once on the Severn we turned north, having a grandstand view from the center of the river of Worcester Cathedral on the east bank, and the city center. There was just one other lock on the Severn itself, at Holt, to bypass a weir. That lock had lock keepers, and was electrically operated. Once we reached Stourport-on-Severn, it was time to leave the river and join the Staffordshire & Worcestershire Canal, for the next stage of our trip. Entering the Staffordshire & Worcestershire Canal at Stourport-on-Severn. 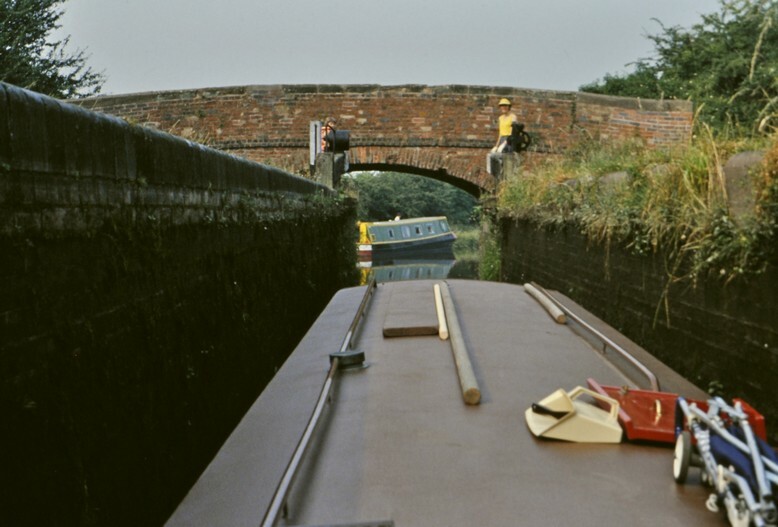 This canal passes through the center of Kidderminster, a town famous world-wide for its carpet-making industry, then on through some lovely and peaceful red sandstone landscapes near Kinver in South Staffordshire. Along the Stafforshire & Worcestershire Canal. We must have taken a couple of days to travel this section as far as Aldersley Junction, where we had to turn east and join the Birmingham Canals Navigation. However, as we needed water and some other supplies, we travelled a couple of miles further north, joining the Shropshire Union Canal at Autherley Junction for a very short distance before turning around to moor up for the night by Aldersley Junction. 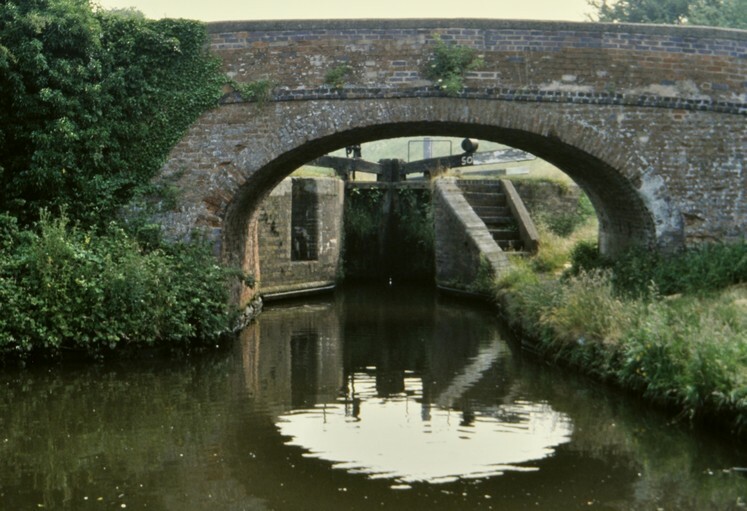 At Autherley Junction, there is a stop lock, with just a small height difference, a matter of inches, between the two canals to prevent drainage of one canal into the other. 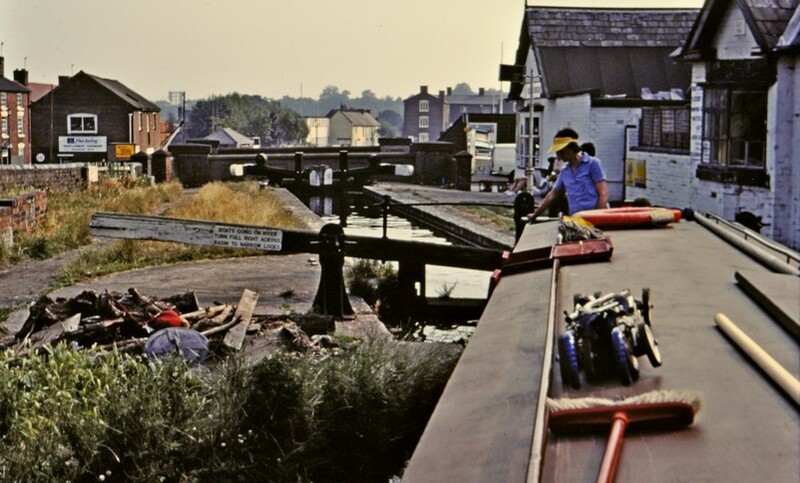 The next section on the BCN was our penultimate day, taking us from Aldersley Junction, through the Black Country, Birmingham city center, and south again on to the Worcester & Birmingham Canal, mooring up north of Alvechurch in order to arrive back on time at the marina the next day. 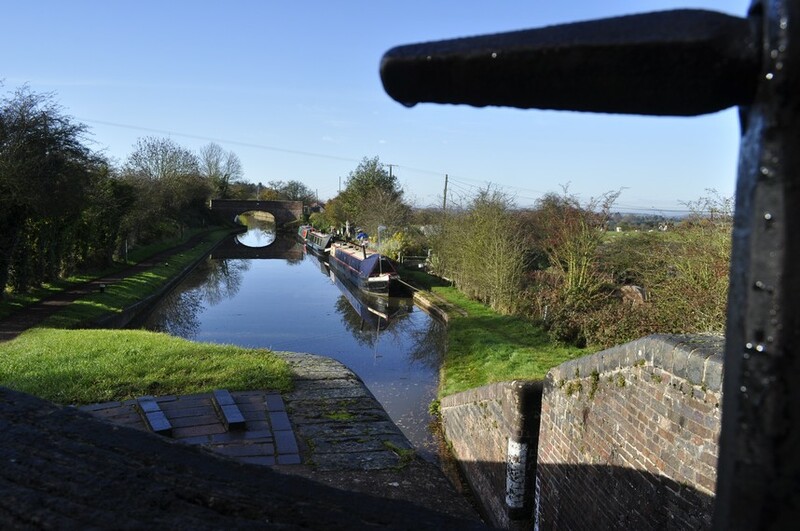 From Aldersley Junction there is a flight of 21 locks that raise the canal 132 feet. We made an early start, with the idea of stopping about half way for breakfast. However, we discovered at about one third of the climb that a previous boat had left the lock paddles open and several pounds between the locks had drained completely. The photo below was taken on the Worcester & Birmingham Canal a couple of years ago when several refurbishment projects were underway. But it shows the sort of scene that greeted us that morning on the BCN. It must have taken an hour or more to restore water levels to the pounds before we could get on the move once again. 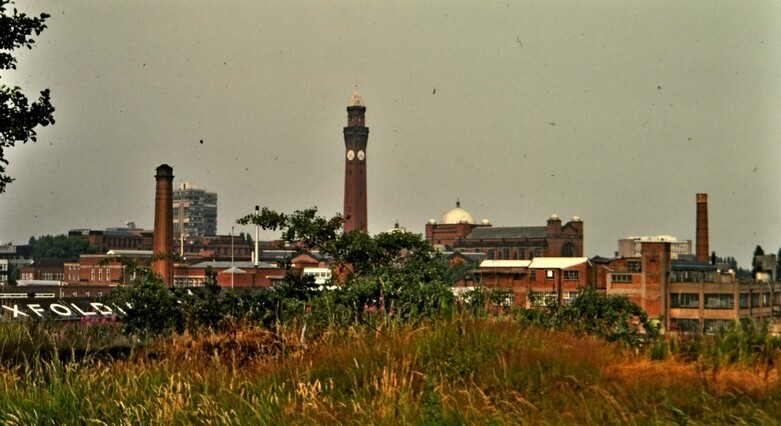 Travelling between Wolverhampton and Birmingham in 1983 was like passing through a desolate lunar landscape, with scenes of dereliction all around. This is part of the so-called Black Country of Dudley and Tipton, formerly an important industrial area. Today this whole area has been reclaimed for housing. 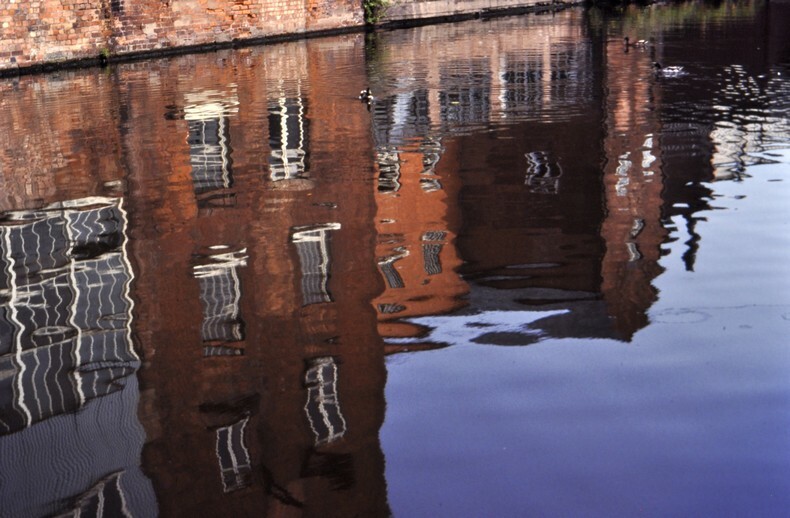 Even the derelict warehouses along the canals in the center of Birmingham have either been refurbished as ‘desirable residences’ or demolished and replaced by new housing and offices. 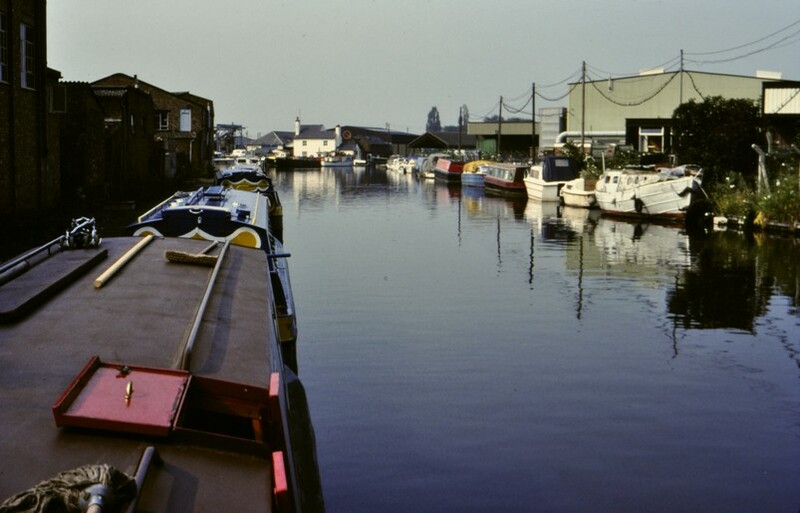 Near Gas Street Basin in 1983. Signposts on the canal, Wolverhampton to the left, Worcester to the right. However in 1983, there was little shade along the banks of the BCN in the Black Country of Dudley and Tipton. It was a very hot day, and the sun was beating down. Because we had to travel more miles than usual, I had my lunch and tea breaks on the move, so to speak. Just as we crossed Gas Street Basin, the weather broke and there was a tremendous thunderstorm. With that, we decided to moor until the storm had passed, before continuing south, past the University of Birmingham Edgbaston campus, and through the one and a half mile long Wast Hills Tunnel (under the Lickey Hills) north of Alvechurch, one of the longest in the country. We moored close to where the A441 crosses the canal at Hopwood, and enjoyed an evening meal at the Hopwood House pub. The University of Birmingham campus from the canal near Selly Oak. 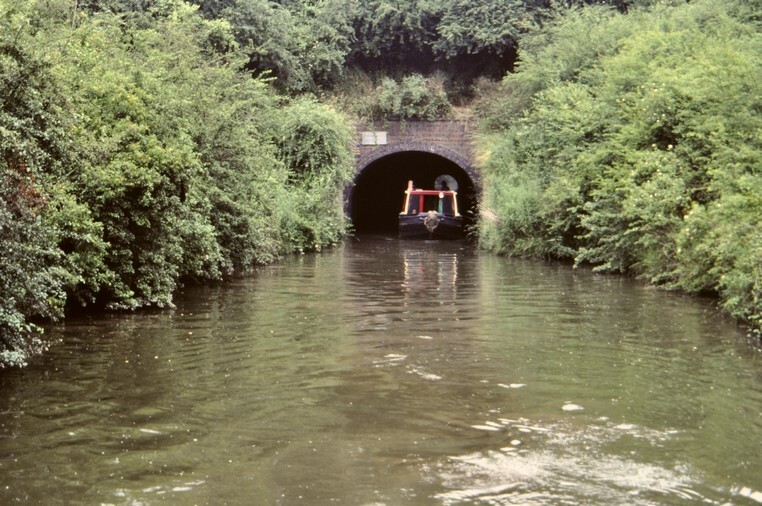 Just passed through one of the tunnels north of Alvechurch. With only a short distance to Alvechurch, we spent a couple of hours cleaning the boat on the final morning, getting everything shipshape and Bristol fashion, and arriving back at the marina by the noon deadline. From there, it was just a case of hopping into our car, and within 15 minutes we were back home. A very enjoyable holiday and, as you can tell as you read this post, one that left me with long-lasting memories. ¹ The phrase it’s like Piccadilly Circus is commonly used in the UK to refer to a place or situation which is extremely busy with people. Industrial heritage is all around . . . The legacy of the Industrial Revolution is all around here in north Worcestershire, and I am reminded of it almost every day. Bromsgrove lies on the Birmingham-Bristol (and all stations to the southwest) main railway line, at the bottom of the Lickey Incline (the longest and steepest sustained gradient of 2.65% for two miles on the rail network). It’s just under a mile east of where I live. Because of the steepness of the gradient it’s not uncommon today to see two diesel engines pulling and pushing a long freight train. In the days of steam, a specially-designed locomotive (the Fowler 0-10-0 Big Bertha) was stationed at Bromsgrove to help through trains up the Incline. As I write, 175 years after a station was opened, Bromsgrove is having a new station. In fact, construction has been ongoing for almost two years now. After failing to meet a November 2015 schedule to open, the new station is expected to open by May this year. Maybe. When I took the train occasionally into the University of Birmingham in the 1980s, there was only one platform, on the up line. The current station is just round the bend on the photo above. Trains arriving from Birmingham had to cross from the down line on to the up line, drop off or pick up passengers, then re-cross to the down line south of the station. Not really advisable. You can see the switch just behind this train heading south yesterday. Then a new platform was added on the down line. The main problem is that the platforms are short, and can only accept three-coach London Midland trains that stop at Bromsgrove., So with the growing commuter traffic into Birmingham, something needed to be done. And that’s how the new station came about. 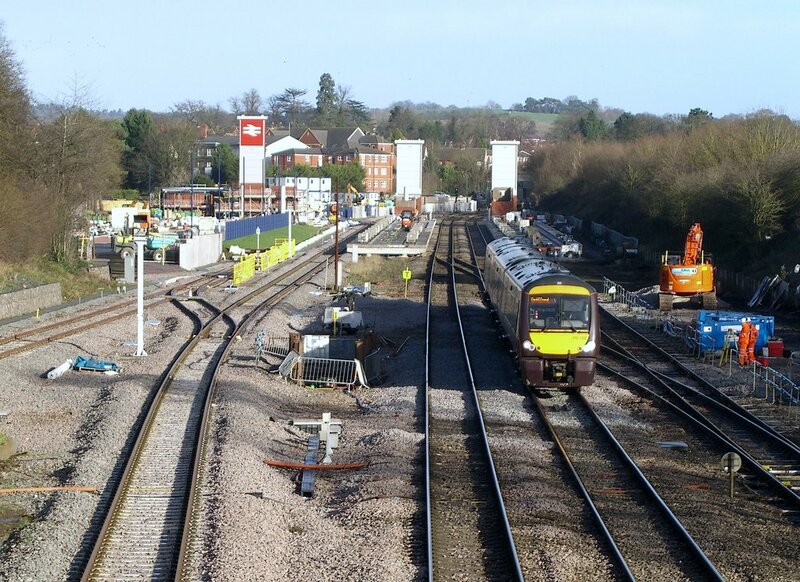 It will have four island platforms, and trains stopping at Bromsgrove can be diverted off the main lines. Doing so will allow more trains to run per hour. Also, the line will be electrified as far as Bromsgrove, connecting the town into the wider West Midlands electrified commuter routes as far north as Lichfield. Freight trains heading up the Lickey Incline can wait in the branch on the left of the photo until they can have a clear—and slow—run at it. Sometimes in the summer, when we have the bedroom window open, and the wind is in the right direction, it sounds as though some of these freighters are headed right towards us. The rails on the extreme right have yet to be laid, and that can’t happen until the new station is open and the existing platforms decommissioned because the switch of the main line has to begin about where the current down line platform ends. That’s scheduled for October 2016, and the lines will be closed for 10 days while some major track engineering takes place, signalling is installed, and presumably the electrification completed. The bridge where I took this photo is on one of my regular walks, so I have been watching progress over the past 21 months. I wish I’d taken photos more often. But what has been interesting to observe is the impressive kit that the engineers used to lift old track, lay new ones (that branch on the left replaced several different sidings), excavate culverts that had collapsed, and the like. Part of the delay in completing the project in 2015 was the need to decontaminate the site that had been an oil terminal for a major engineering works formerly alongside the railway, and reroute signalling and an underground stream that did not figure on any of the plans available to the engineers. There was a further delay, and a need to apply again for planning permission when it was discovered that the bridge connecting platforms would have to be raised just 14 inches to conform to EU regulations concerning the distance between a bridge and overhead electrification wires. Access to sophisticated equipment today really puts in context how the railways were first constructed, almost 200 years ago. And although much of the work would have been carried out by gangs of navvies, I guess by mid-Victorian times engineers would have had steam-powered machines available. Nevertheless, the construction of embankments, tunnels, and viaducts is surely an impressive feat of human enterprise. It was hard, dirty, and dangerous work in isolated locations where temporary communities sprang up—and men, women, and children died and were buried. 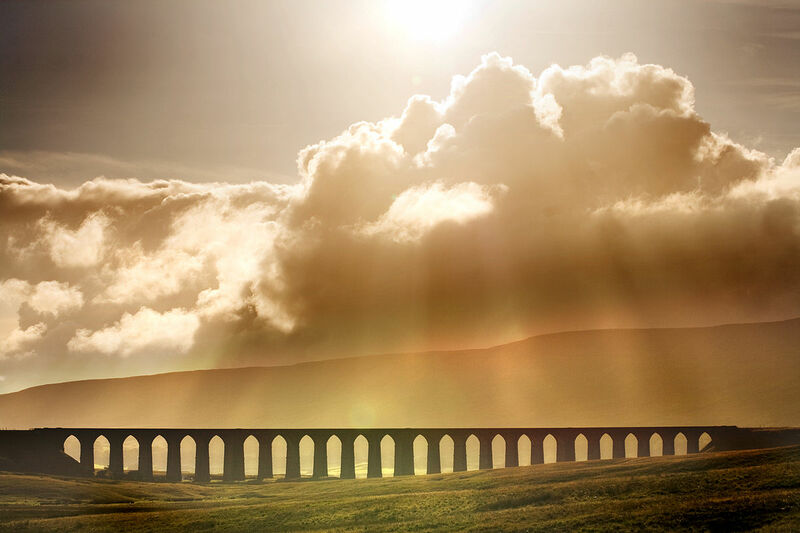 This account of the Settle-Carlisle line and the construction of the Ribblehead Viaduct gives a sense of the isolation and hardship of building this railway. These communities are being celebrated, if that’s the right word, in a new drama that started to air on the commercial ITV channel from 7 January. Before the trains . . . The rail network in the UK today is a shadow of its former glory, having been deliberately dismantled, maybe I should say restructured, in the 1960s by Dr Beeching. But, to my mind, there’s an even more impressive example of civil engineering that began half a century before the railways were built. I’m referring, of course, to the canals, and their construction began in the last quarter of the eighteenth century. And what’s particularly impressive, is that they were dug mostly by hand, by gangs of navvies. Just a little over a mile to the east of the Lickey Incline is the Worcester and Birmingham, that has just celebrated its 200th birthday. Begun in 1791, it was finally completed in December 1815. I find it fascinating that construction of this canal wonder took place while Europe was in turmoil through the Napoleonic Wars and the final defeat of Napoleon at the Battle of Waterloo in June 1815. 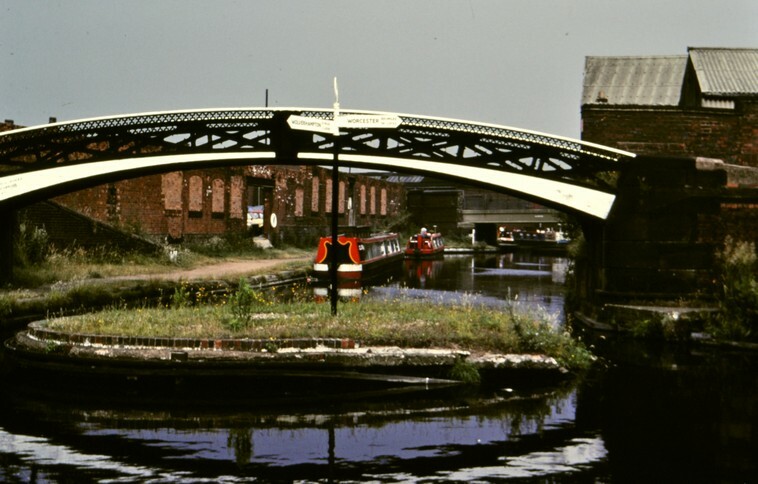 At 29 miles long, the canal connects Worcester with Birmingham, climbing 130m (428 feet) over the same topographical feature that would tackled on the Lickey Inlcine half a century later. 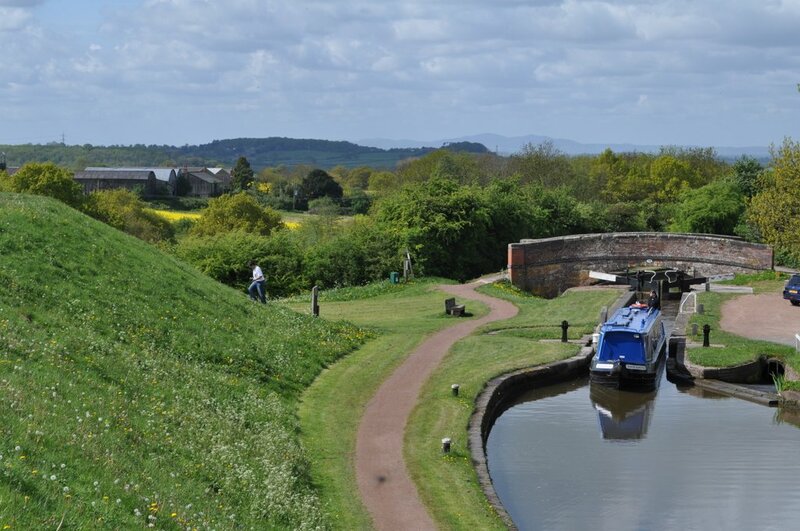 There are 58 locks; the Tardebigge Flight of 30 locks is the longest in the UK, raising the canal some 200 feet in just five miles between Stoke Bottom Lock to Tardebigge Top Lock. You can explore a detailed map on the website of the Canal & River Trust. This is a time-lapse video of that journey up the Tardebigge Flight. In addition to all the locks there are five tunnels, with a combined length of 2.4 miles. The channels were dug by hand, and then lined with mud to make them ‘waterproof’ so the water did not leak away. A series of three reservoirs provide a constant supply of water, and at Tardebigge there is a disused pump house, once powered by steam to raise water to different levels in the Tardebigge Flight. As I’ve mentioned in other blog posts, sections of the towpath along the canal from south of Stoke Prior and Tardebigge are some of my favorite walks in all seasons. Here is a selection of photographs that I have taken over the years. In some of them you can see the details of canal and lock construction because on a number of occasions sections of the canal had to be drained for maintenance. I always feel inspired and full of admiration for those hard-working labourers who set their backs to dig the Worcester and Birmingham Canal over 200 years ago. A canal for all seasons . . .
One of my favorite walks is along the towpath of the Worcester and Birmingham Canal. Managed by the Canal & River Trust (formerly British Waterways) the canal is just a couple of miles to the east of where I live in north Worcestershire. Construction of the canal began in 1792, and was finally completed in 1815. Connecting central Birmingham (to the north) and Worcester (to the south, on the River Severn to which the canal connects), there is a drop in elevation of 130 m (428 feet). Fifty-eight locks were needed to navigate the topography, including the 30-lock flight at Tardebigge (also close to my home), one of the longest flights of locks in Europe, as well as five tunnels (including the Wasthill Tunnel under the Lickey Hills, at almost 2.5 km), and three reservoirs to ensure a constant supply of water to the canal. Near Tardebigge is the old engine house – now converted to luxury apartments – that pumped water from the Tardebigge Reservoir and kept the water level of the canal topped up below Tardebigge Top Lock. North of this lock towards central Birmingham, there are no locks. With the building of the railways in the 19th century, many of the canals were abandoned for commercial traffic and fell into disrepair. Not until the middle of the 20th century did travel on the canals become a major leisure industry. Canals were rehabilitated and opened up for navigation once again all around the country. The canal towpath is a haven for wildlife, and during the different seasons there is always a great variety of birds to observe, on the water and in the vegetation that hugs the canal on the opposite side from the towpath. So why is it called a ‘towpath’? Before the days of steam traction or today’s diesel engines, canal boats were hauled along by men or, quite commonly, large working horses. In the video below, a narrowboat on the Huddersfield Narrow Canal is being pulled along as in days of yore. The video also excellently illustrates just how a canal lock works, the effort required to raise or lower the water level, and open and close the lock gates. As I stroll alongside the Worcester and Birmingham Canal I never cease to wonder at what was involved to construct the canals at the end of the 18th century and early 19th. 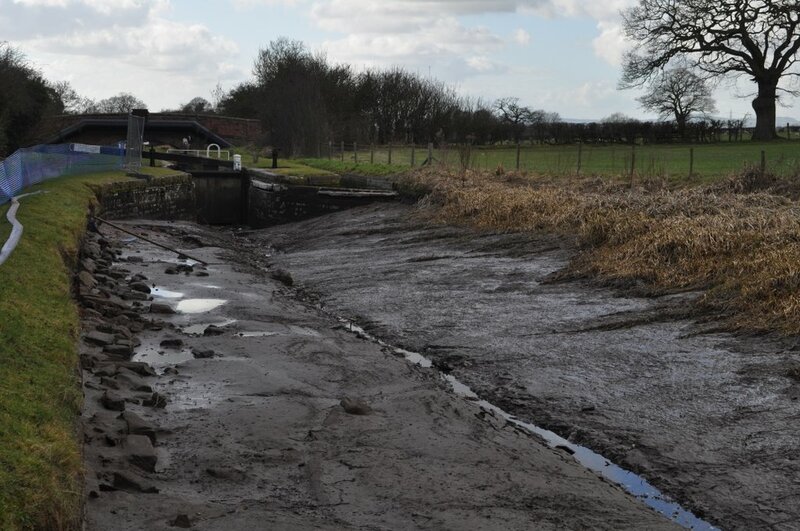 With access to little or no machinery, the canals were hand dug by huge squads of workers – the ‘navvies’ (derived from ‘navigator’ or ‘navigational engineer’ – who later went on to build the railways). Can you imagine what effort was required, what the working and living conditions must have been like for the men (and presumably their families, because we do know that wives and children followed the navvies when constructing the railways)? Not only had the canal bed or ‘cut’ to be dug, but the bed had to be lined in many places with clay to make them waterproof and reduce or prevent leakage. Then there were the elegantly constructed and brick lined canal locks and bridges. The lock gates themselves, most often made from oak, had to be man-handled into place, weighing many tons. Now while one can wonder at all this when the canal is open for business as it were, when it’s drained and closed for maintenance – as was the case recently at Tardebigge Top Lock – you really can appreciate the scale of the whole endeavor, and what it takes today to repair the canal even with access to all sorts of machinery.